Confessions of an ADD English Teacher: Organizing movies! Some of my favorite bloggers are hosting a link party. The theme is It's a Cinch. And I'm posting it today because it's Spring Break this week. That means I'm going to have to beg borrow and steal time on the computer from my husband and kids! I thought long and hard about what project I could whip up for this.None of the projects I'm working on right now are remotely easy. So, that leaves organizing. Because if it's an easy organizing tip, I'm all about that. We have quite a few movies and game discs. They take up more space than I really have to give. This is just a small sampling. I think at one point, we counted more than 400 movies. One big problem for us has been the kids don't always put the movies back in the cases and then the cases break, then the movies get scratched. I'm pretty sure we're not the only ones with this problem. 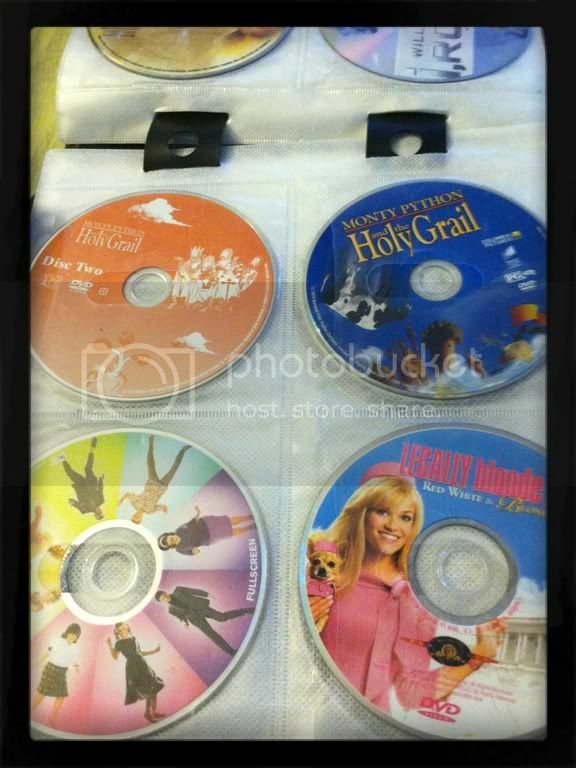 Then one day the lightbulb went off and we realized there was an easy solution to storing all of these movies: Get rid of the cases and put the movies into sleeves! Going with small CD sleeves wasn't really the solution with small kids who are bad about putting things where they belong. So the answer was as simple as getting a disc case at WalMart that holds 500 discs! Each movie slips into a spot. You flip through the movies and find the one you want. We're not very particular about where movies are put back, as long as they are put back. And, because it's in a case, that also means it's very portable! It also takes up far less space than what we were doing before. 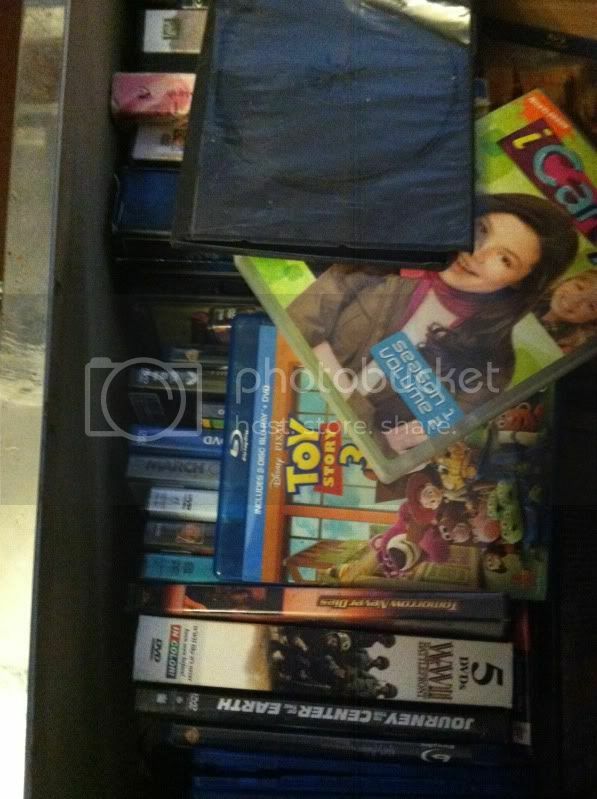 The BluRays are stored separately from the DVDs. But the games are divided up by game system. We don't have nearly as many games as we do movies. The binders fit nicely in the drawers and the discs no longer make a huge mess. 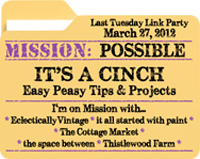 Be sure to check out the other easy peasy projects posted on Tuesday! I did the same thing when my husband was active duty military and we had a weight limit when we moved. The only downside I found was that no one seems to want a movie that doesn't come with a case. It made getting rid of the movies my kids outgrew difficult later on. Seriously? This is genius! Easy, peasy and space saving ... three of my favorite things! OK - getting my girls involved in organizing their DVD's! This is perfect! Thanks for joining our Cinch party. What a great idea! 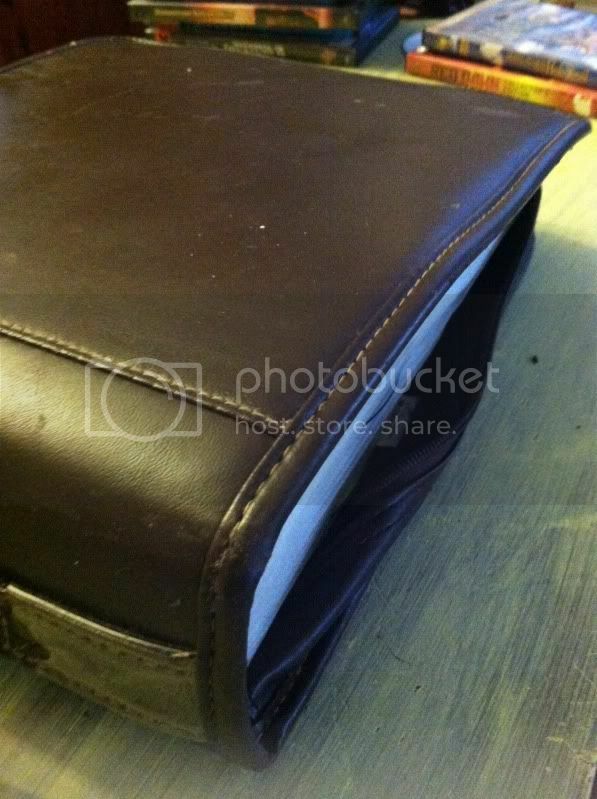 We have ours in an organizer and they always fall out! What did you do with the liners? That has been my big issue.